Red Delicious Life: When You Can't Find It, Make It! When You Can't Find It, Make It! Last month I took a trip home to Ohio for my cousin's wedding. It was a wonderful time to catch up with family and friends. I was especially happy to see my cousin who was a second mother to me growing up. I even lived with her for 2 summers when I was in college. While she may be in her 70s, she is still as feisty as ever. She's needed to use oxygen for the last few years so when she's out and about, she has a portable oxygen tank that she lugs around with her. I had noticed that she was using one of those recycled grocery bags -- you know, the kind that you can purchase for a buck or so that they often have at the checkout register. I thought that was less than ideal and at some point during the weekend we were talking about it. She was using it because the handles were long enough that she could carry it over her shoulder. She tried carrying it in the bag that it came with, but she has arthritis in her fingers and the shorter handles proved too difficult to hold onto. She'd been looking for a cute quilted Vera Bradley bag but she hadn't found one yet. That's the point where I jumped in and said that I could make her one. Seemed easy enough. 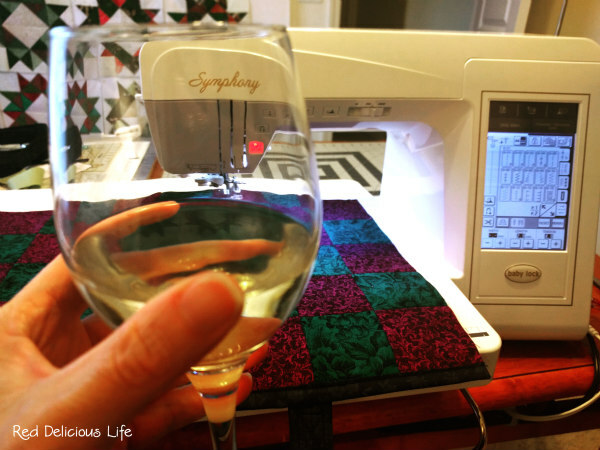 Once I got home I selected a few fabrics and got to work. Making a cylinder shaped bag that would require a circular base. All the bags I've made in the past were made using boxed corners. Having to figure out the circumference of the bag (no problem, thanks to the internet). Finding the appropriate hardware and making an adjustable strap. Sewing my first ever french seam. The biggest challenge in this entire project was the black fabric that I'd selected for the lining and the strap. I don't remember where I got it (maybe it was donated to me) but it was awful to work with. I'm not even sure it was 100% cotton, but I struggled with it every step of the way. By the time that I realized that it was the fabric and not my machine, the pins, the needle, or the thread, it was too far to turn back. Luckily, it all worked out in the end and I have a cute bag that I think my cousin will love. It just proves that if you can't find what you need, you make it instead! Linking up to any of these parties. I love that you custom made this for your cousin; I know she is going to love and appreciate it! 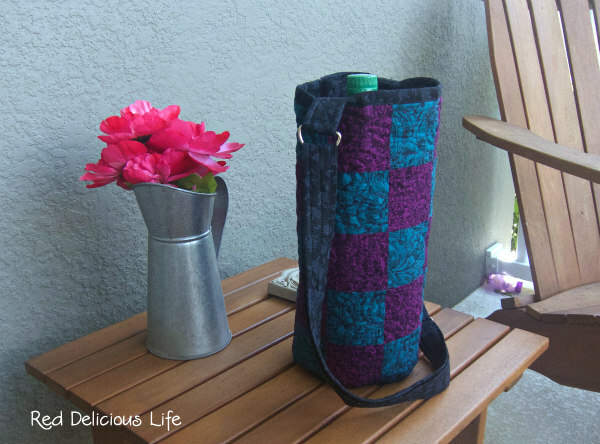 what a great make for your cousin she will be delighted with this bag so much prettier than a supermarket one and will last for ever, now you will know how to make wine bottle bags would make nice presents as if you do not have enough to do! And even if your cousin could have bought one I'm sure she would much rather have a little bit of you to carry round! I agree Jenny. And I thought it was fitting since she bought me my very first sewing machine. What a thoughtful thing to do for your cousin. It is just lovely, and I know she is happy to have it! Your cousin will love it. 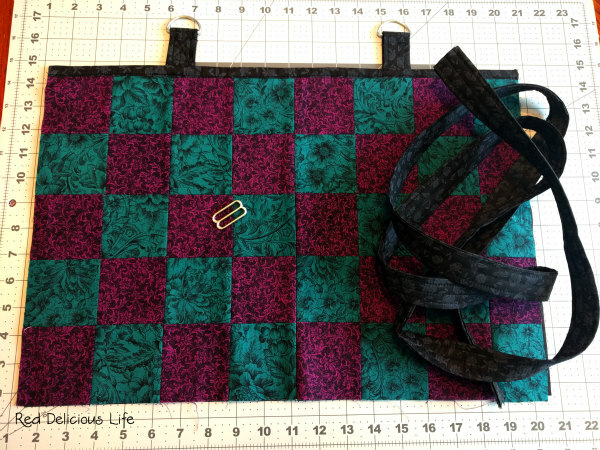 Being able to make anything I need is one of the things I like about sewing. What a great project! It make you wonder who designs that bags the tanks come with if the people who need to use them fidn them so less than ideal. I have been hanging out with the residents at my gran's nursing home. It has been great fun. 'Feisty' is the perfect word to describe some of them. Your cousin would seem like a sprightly young thing among all the ladies (and gents) in their 90s.